Improved wet grip and stability. Improved mileage over previous Tourance EXP. Ideal choice for the latest-generation adventure-touring bikes. OE on the new BMW R1200GS. V-rated for speeds up to 149 mph and W-rated for speeds up to 168 mph. 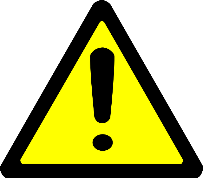 SAFETY WARNING: For information on tire care, safety, maintenance, mounting, manufacturers warranty and other information consult tire manufacturers publication(s) and/or website(s) for complete tire information. The tires used for your application must have a load index and speed rating equal to or greater than the tires fitted as original equipment.. The use of the tire and other vehicle data and information accessible through this webpage is limited to persons located in the United States of America and Canada.ALTHOUGH THE DATA IS BELIEVED TO BE ACCURATE, NO WARRANTY OR GUARANTEE IS MADE REGARDING THE QUALITY OR ACCURACY OF THE DATA.All data should be verified by a tire professional, the vehicle placard (typically located on an inside door panel or on frame), and/or the vehicle owners manual..